Wind power is the use of air flow through wind turbines to mechanically power generators for electric power. 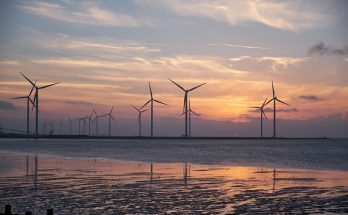 Wind power, as an alternative to burning fossil fuels, is plentiful, renewable, widely distributed, clean, produces no greenhouse gas emissions during operation, consumes no water, and uses little land. Wind power has been used as long as humans have put sails into the wind. With the development of electric power, wind power found new applications in lighting buildings remote from centrally-generated power. A wind farm is a group of wind turbines in the same location used for production of electric power. A large wind farm may consist of several hundred individual wind turbines distributed over an extended area, but the land between the turbines may be used for agricultural or other purposes. For example, Gansu Wind Farm, the largest wind farm in the world, has several thousand turbines. 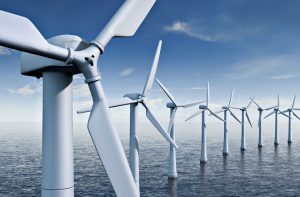 A wind farm may also be located offshore. Wind power involves converting wind energy into electricity by using wind turbines. A wind turbine is composed of 3 propellers-like blades called a rotor. The rotor is attached to a tall tower. On average wind towers in residential settings are about 20m high. The reason why the tower is so tall is because winds are stronger higher from the ground and there’s less of a buffeting effect. Wind comes from atmospheric changes; changes in temperature and pressure makes the air move around the surface of the earth; all of which is triggered by the sun. So in a way, wind energy is another form of solar power. 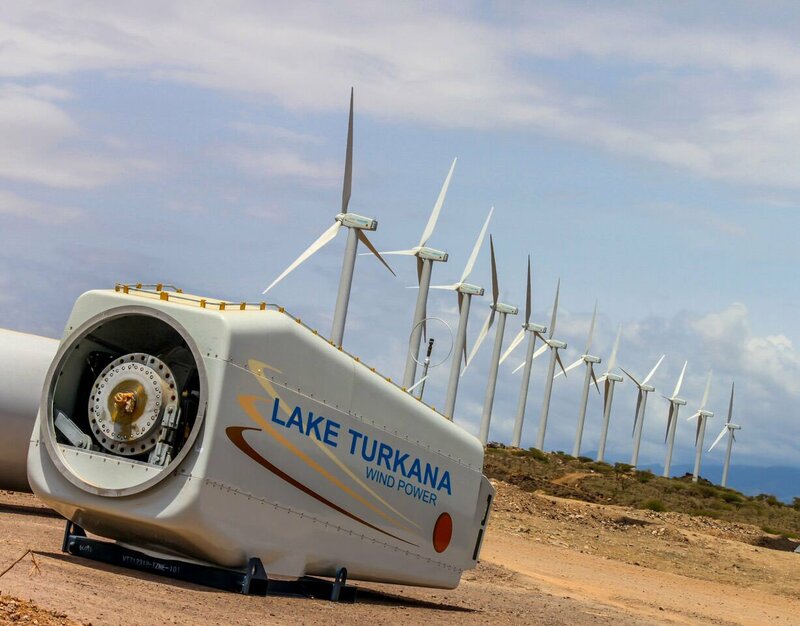 A wind turbine captures the wind to produce energy. 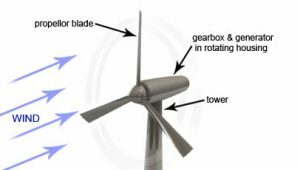 The wind makes the rotor spin; as the rotor spins, the movement of the blades drives a generator that creates energy. The motion of the wind turbine turning is called kinetic energy, this power is converted into electricity. Wind turbines can be installed on properties, on boats, or caravans. Whether a wind turbine is viable depends entirely on the amount of wind resources available. The average wind speed needs to be above 5m/s (18km per hour) to make installing a wind turbine worthwhile. Ideal locations for wind turbines are in the country, on farms, or on the coast: basically anywhere away from built-up areas. The more buildings around the wind turbine, the less wind there is. 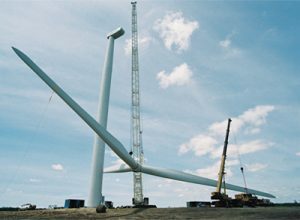 Setting up a wind turbine is a big job that takes time but it can be a very cost effective way of creating power as long as the average wind speed is high enough. Wind power is a clean energy source that can be relied on for the long-term future. A wind turbine creates reliable, cost-effective, pollution free energy. It is affordable, clean and sustainable. One wind turbine can be sufficient to generate energy for a household. Because wind is a source of energy which is non-polluting and renewable, wind turbines create power without using fossil fuels, without producing greenhouse gases or radioactive or toxic waste. Is wind power right for you? As mentioned, in most suburban residential settings, solar panels are a better choice than wind turbines. Feel free to add to our comments side….